Would you call that Spanish Canadian Moss? With four of Montreal's biggest attractions centered around Olympic Parc you've got to do a little planning ahead to avoid some major meltdowns. The little C&Gs (ages 9 & 12) are usually good for up to two hours on any of our adventures before we need to move on for a change of scenery, some snacks, and cocktails (for us) & gelato. 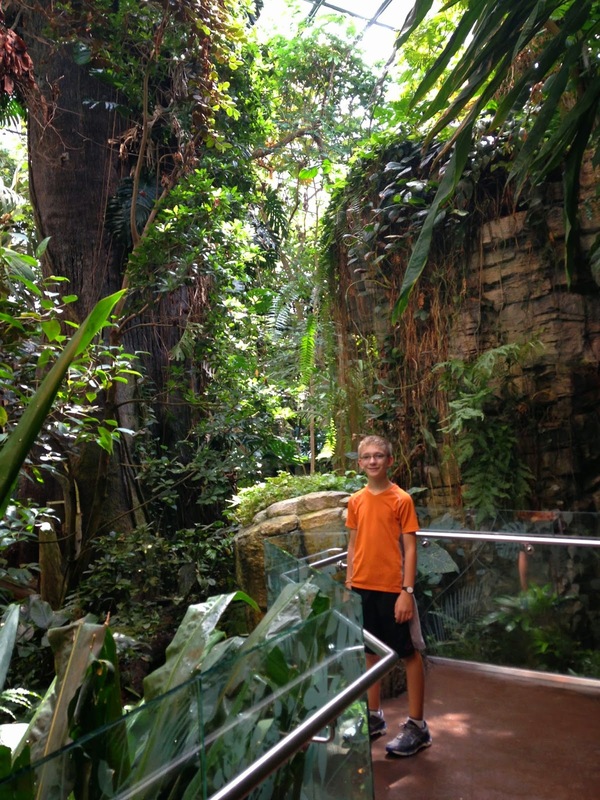 So you'll be happy to know that your tickets for the Biodome, Insectarium, Botanical Gardens, and Planetarium are good for up to 31 days, making it easy to stay flexible as the weather and your kiddos' moods change. The Biodome and Botanical Gardens are located in Maisonneuve Park (get off at the Pie-X Metro stop) and the Biodome, Planetarium, and Olympic Tower are a twenty minute walk away in nearby Olympic Parc (get off at the Station Viau Metro stop). Montreal hosted the 1976 Summer Olympics and this eyesore of 70's concrete architecture is now a prime destination for sports, music, and culture. In this residential neighborhood a 25 minute Metro ride from downtown Montreal (on the green line) there aren't many options when your crew gets hungry. The Botanical Gardens has a cafe serving sandwiches, salads, pastries and coffee and it's your best bet before making the ten minute walk over to the Insectarium (just in case you lose your appetite after seeing all those bugs). The Biodome and the Rio Tinto Alcan Planetarium are next to each other and the cafe at the Planetarium serves sandwiches, salads, and pastries in the bright and modern lobby. 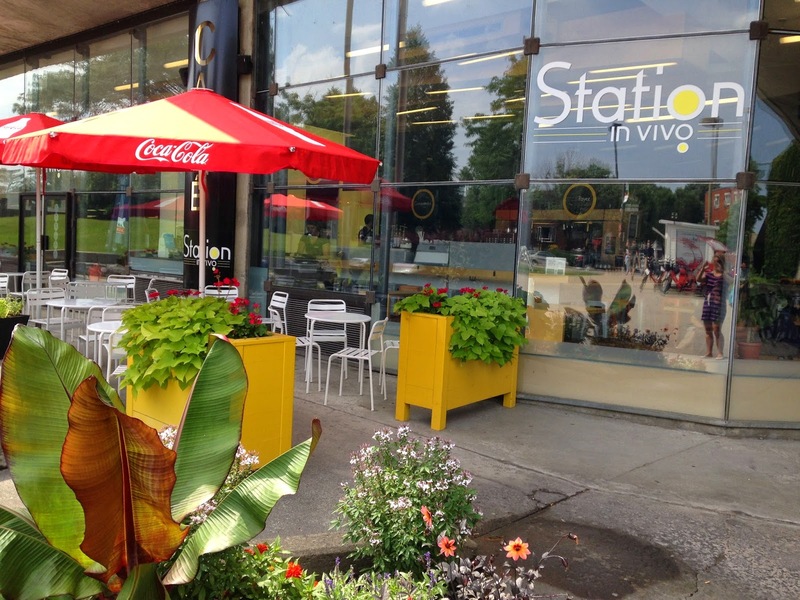 But an even better option awaits you in the nearby Olympic Stadium (a five minute walk down the main avenue towards Metro Pie-X) at Station In Vivo. This European style cafe serves breakfast pastries, grilled sandwiches and salads, all made from local ingredients. There's a full menu of espresso drinks and if you're ready for something a little stronger they also serve wine and beer. Long cushioned benches line the windows and your kiddos will love watching the commuters come and go from the underground entrance to the Metro stop. If you have the time you should split your visit across two days because it's easy to get overwhelmed with all four sights to take in. 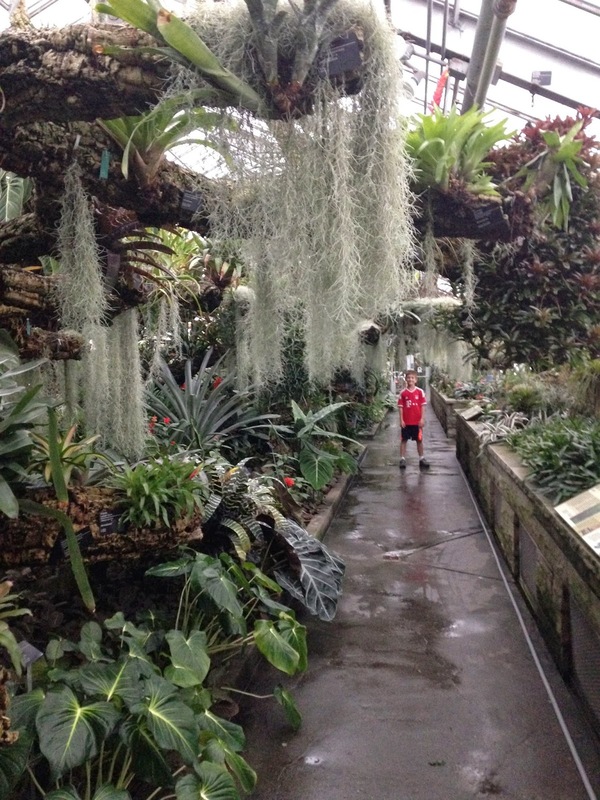 The Botanical Gardens and Insectarium can be done together and we spent most of a day there. The Biodome and the Planetarium could be done in half a day if you aren't interested in adding in the two shows at the Planetarium. Exhibits and hands on activities are free inside the ultra modern Planetarium building and you only need a ticket to go into the theater. Tickets and packages for any of the four attractions can be bought at the admissions desks in all of the locations so there's no need to buy them online ahead of time. My next Montreal post will share the must-see highlights from all four destinations around Olympic Parc. But by far my best piece of travel advice is a glass of wine and some chocolate chaud at Station In Vivo. Wine in a Metro station. I love Canada!